Interesting html5 map example for helicopter business. Helicopter engine business is a specific field where information plays the main role in providing necessary sales level. Just imagine the cost of one order and the order frequency and you will understand why marketing strategy of such business often use any information channels to contact with customers. The main information channel is a corporate website and one of the main instruments for customer awareness is an interactive map. 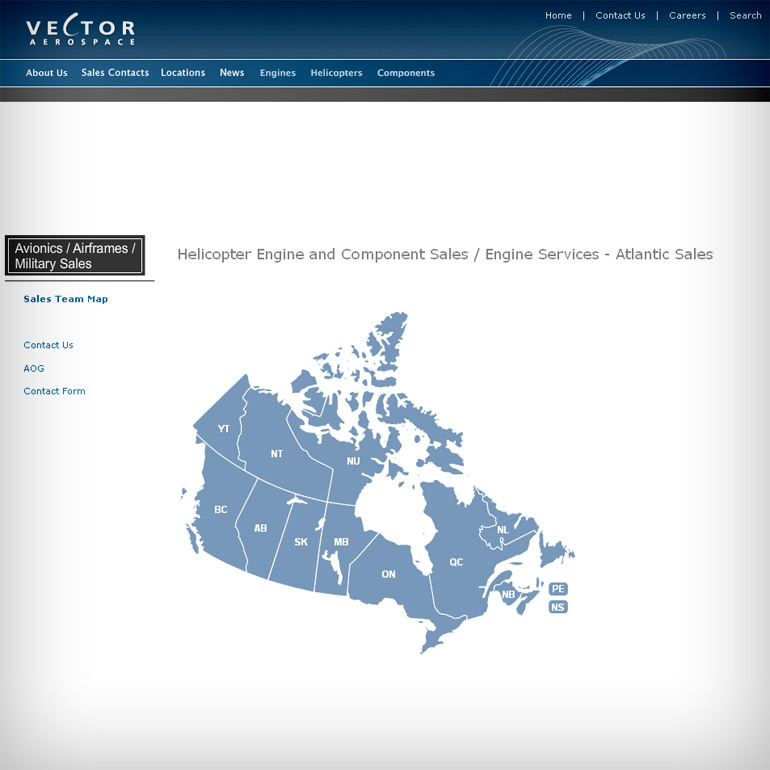 We are glad to present you an interesting html5 map example for helicopter engine trading company – Vector Aerospace. The map presented on the corporate website shows the Vector Aerospace branch network and contact information for regional representatives in Canada. You can see that developers added popup windows with contact information and photos for more interactivity. This example shows that interactive map is suitable for using in any business fields where the owners want to establish effective contact between with the website visitors.